4 Bedroom Detached House For Sale in Bournemouth for Guide Price £1,190,000. 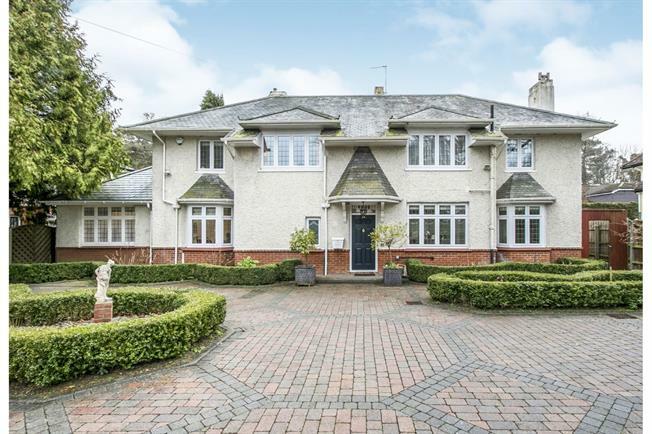 Palmer Snell are delighted to be favoured with instructions to market this stunning property located on Talbot Woods. Upon the approach to the property you are greeted with ample parking, provided by a block paved driveway with gates and pleasant shrub boarders. As you progress further through the ground floor of the property you are provided with access to an open plan living room, a modern day room / study which provides access onto a decking area with a number of period features, alongside stripped wooden flooring as well as access to the stunning enclosed rear garden. Turning left into the kitchen from the main entrance hall you have a bespoke fitted kitchen which to our knowledge has been hand crafted, further boasting an array of integrated appliances, an inset gas cooker with tiled splash backs along with a one and half sink and mixer tap, with windows overlooking the front and rear gardens.